This qualitative research study is designed to explore ideas, customs, and practices related to adoption from the perspective of adult adoptees. While many studies seek to explain the negative impact of adoption, minimal literature exists with regard to a phenomenological exploration of adoption practices that successfully promote healthy adjustment and a sense of resilience and well-being in adopted children. Existing research on adoption has largely been conducted quantitatively, which can fail to capture the personal, lived experience of a positive adoption experience that leads to healthy adjustment. Specifically, little is known about which factors of the adoption experience adoptees perceive as contributing to healthy adjustment and a sense of well-being. The proposed study located themes and patterns that became apparent through narrative inquiry concerning factors in the adoption experience that contributed to adjustment. Narrative research honors the knowledge held in stories that are retrieved from memory (Fry, 2002). By interviewing adults who were adopted as children, it is hoped that their personal stories can augment clinical conceptualizations of adoption and shed light on positive meaning-making experiences in the context of adoption. These conceptualizations will be of use to persons and professionals who work closely with those involved in adoption, including mental health professionals and paraprofessionals working closely with adoptees and their families. This information is of value for those involved in family dependency treatment courts, child welfare services, and other agencies who wish to promote positive experiences for children and families who become involved in the adoption process. The electronic version of the dissertation is accessible at the Ohiolink ETD center http://www.ohiolink.edu/etd. Crystal Gonsalves received her PsyD from Antioch University in 2016. Throughout her clinical experience, Crystal has been passionate in working against discrimination and oppression, and has strived to treat all humans with equal respect and dignity. The populations that she has served throughout her academic and professional experience reflect and illustrate that she seeks to work with marginalized and underrepresented populations. During her doctoral training she worked in the following settings: Community Counseling Center, Del Mar Elementary, Transitions Mental Health Association and Santa Barbara County Children’s Mental Health Services. She completed her doctoral internship at the University of Washington Tacoma’s Student Counseling Center. At this location, she had opportunity to provide therapeutic services to a non-traditional college population. Sixty-eight percent of the students are first-generation and the university is considered a “minority-majority” campus. Crystal has enjoyed her time working one-on-one with diverse variety of people on a supportive and warm clinical team. She has had the opportunity to lecture to the University of Washington MEDEX program physician assistant students on various mental health topics as well as providing multiple trainings to Universities students and faculty. 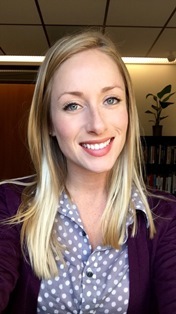 Crystal’s training at the University of Washington, Tacoma has provided her with invaluable experience while also completing her dissertation titled The Remembered Experience of Adoption: Factors Supporting Healthy Adjustment. Crystal is happy to announce that she accepted an offer to join the clinical team at the University of Washington, Tacoma and is excited to transition from an internship position to a full time psychology resident role on September 1st of 2016. She also recently relocated to the Tacoma area and looks forward to working in the areas and exploring the city. Gonsalves, C. (2016, May). The remembered experience of adoption: Factors supporting healthy adjustment. Presented at University of Washington Tacoma. Tacoma, Washington. Gonsalves, C. (2016, May). Mental health disorders in children and adolescents. Lecture presented to UW MEDEX Physician Assistant Program Students. Tacoma, Washington. Gonsalves, C. & Liu-Johnson, N. (2016, April). The psychology behind suicidology. Lecture presented to UW-Tacoma Social Work Program. Tacoma, Washington. Gonsalves, C. (2016, February). Depression and mood disorders. Lecture presented to UW MEDEX Physician Assistant Program Students. Tacoma, Washington. Gonsalves, C. (2015, October). Early right brain affect regulation, attachment and emotional well-being. Lecture presented to UW-Tacoma Student Counseling Center Team. Tacoma, Washington. Gonsalves, C. & Liu-Johnson, N. (2015, November). Behavioral therapy, cognitive therapy and problem solving therapy for primary care. Lecture presented to UW MEDEX Physician Assistant Program. Tacoma, Washington. Gonsalves, C. & Liu-Johnson, N. (2015, September). Communication and peer counseling. Training presented to UW-Tacoma Residential Assistants. Tacoma, Washington. Liu-Johnson, N. & Gonsalves, C. (2015, October). Life hacks: Reducing procrastination through increasing willpower. Presented to UW-Tacoma Students. Tacoma, Washington. Liu-Johnson, N. & Gonsalves, C. (2015, October). Life hacks: Boost your GPA, health & happiness. Presented to UW-Tacoma Students. Tacoma, Washington. Gonsalves, Crystal R., "The Remembered Experience of Adoption: Factors Supporting Healthy Adjustment" (2016). Dissertations & Theses. 311.